The mid-engined 914 sports car was born into consistently confusing and troubled times at Porsche and Volkswagen. The idea of a non-911 Porsche in the late 1960s horrified many. A model from the Stuttgart concern with an engine that wasn’t in the back was simply unthinkable. But, with an entry-level model that was creeping up in price, something cheaper was needed. Volkswagen was also experiencing problems of its own. Relying on the successful Beetle one-model policy was fast becoming a problem. The 914 was seen as a car which could also inject a shot of glamour to Volkswagen’s worthy and dependable range of air-cooled cars. 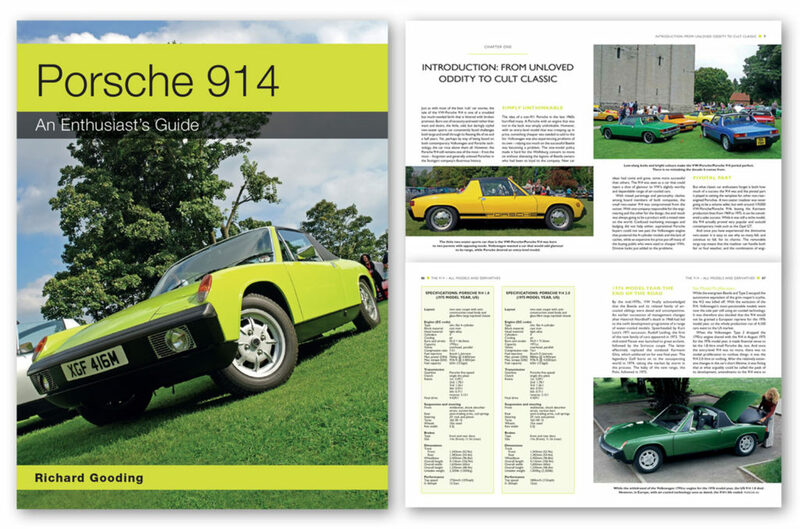 Porsche 914: An Enthusiast’s Guide tells the complicated story of a car of mixed parentage, which, against the odds, became a success in its relatively short six-and-a-half year lifespan. Around 119,000 cars were sold from 1969 to 1975 (outselling contemporary rivals such as the Opel GT) and the odd-looking and flat-edged little car played a pivotal part in setting the template for other non-rear-engined Porsches. As a present-day classic, low-slung looks and bright colours make the 1970s 914 period-perfect, while a wide and comfortable cabin accommodates all drivers. 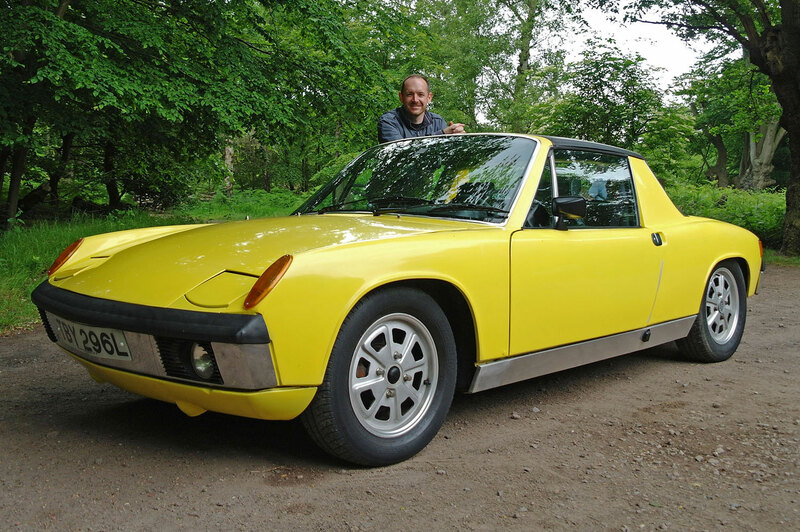 Combined with near-ideal weight distribution and a low centre of gravity, the mid-engined layout means the 914 can achieve higher cornering G-forces than even those of the contemporary 911. With over 160 pages and 200 photographs (many taken exclusively for this book), Porsche 914: An Enthusiast’s Guide covers the history, development and manufacture of the Porsche 914, the impact of its design upon it successors, and buying and owning a version of Porsche’s trail-blazing classic today. Available in print and e-book formats (see buying links below).